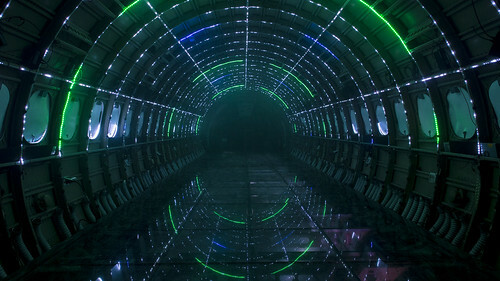 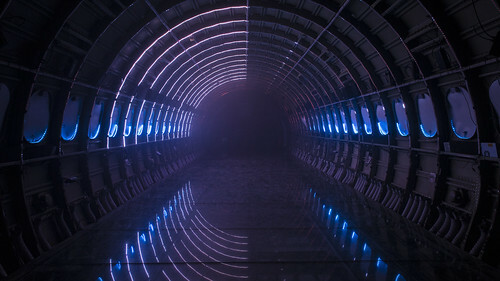 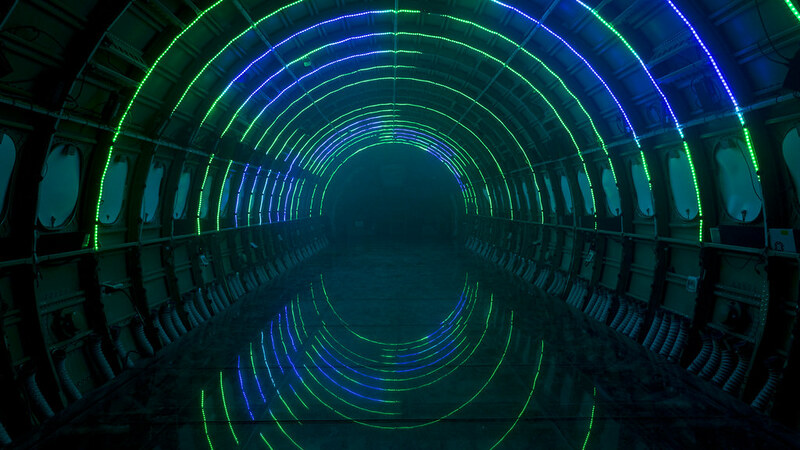 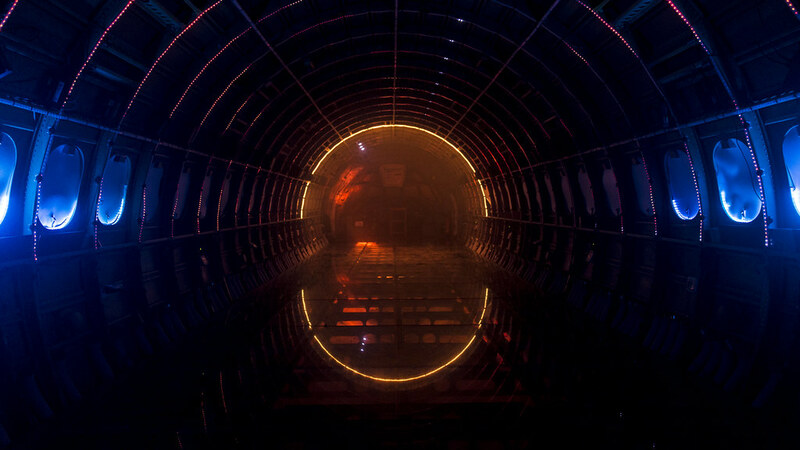 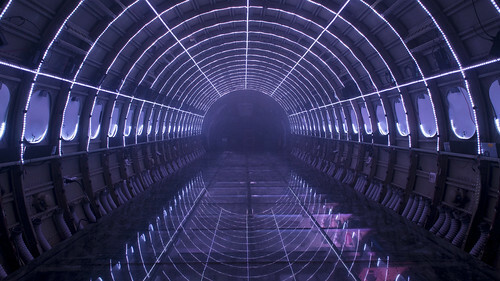 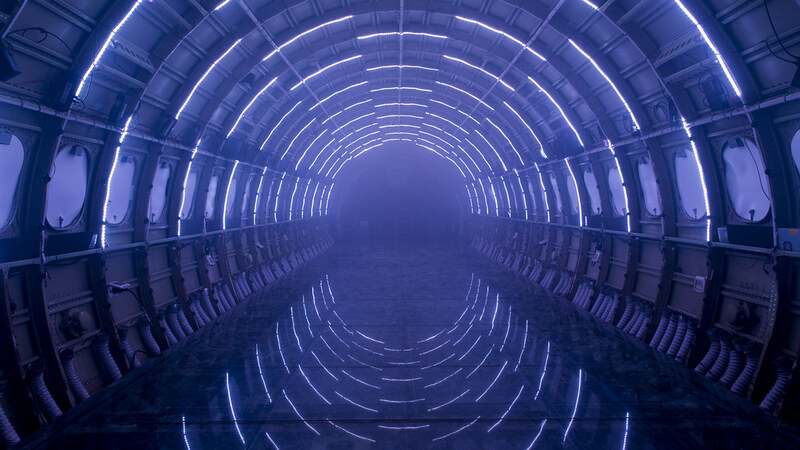 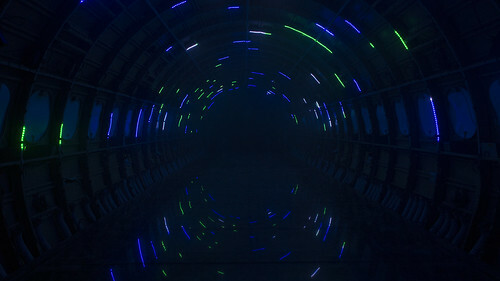 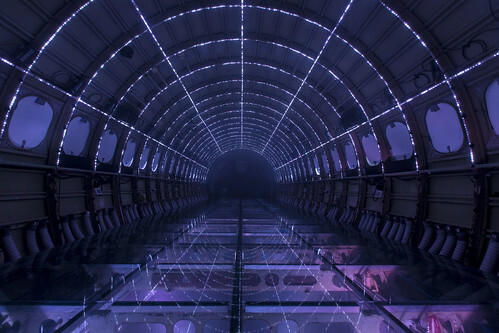 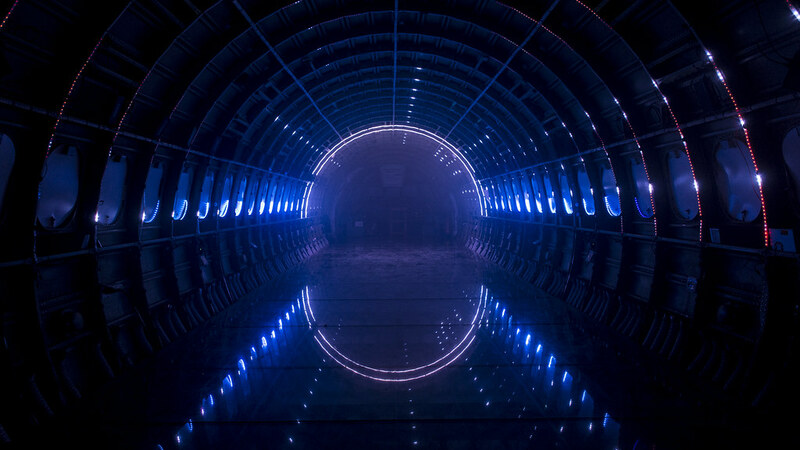 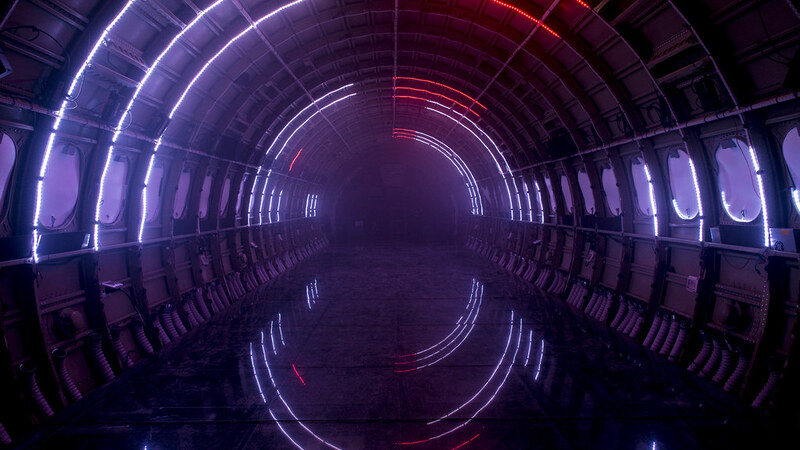 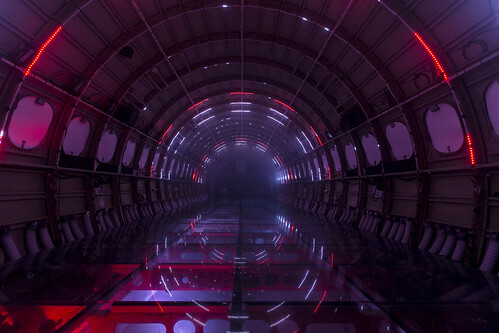 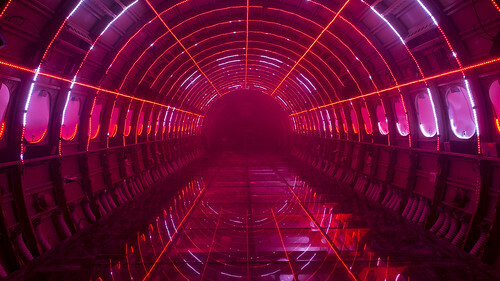 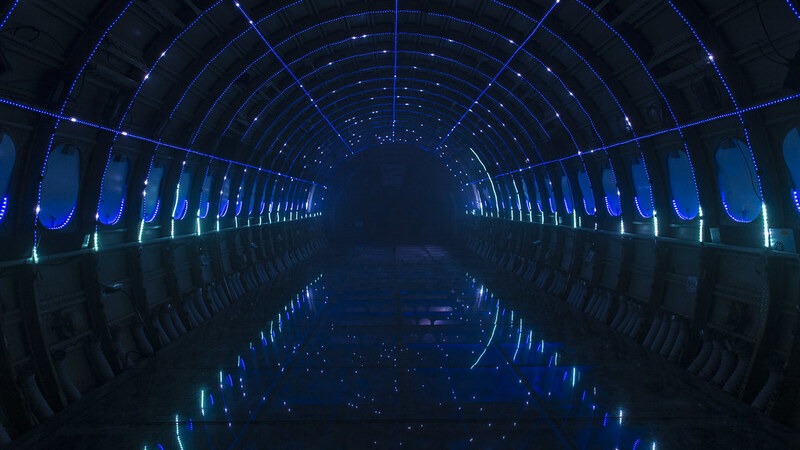 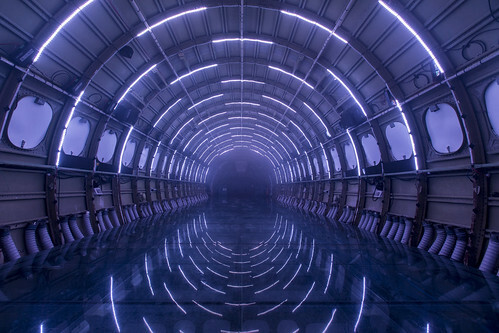 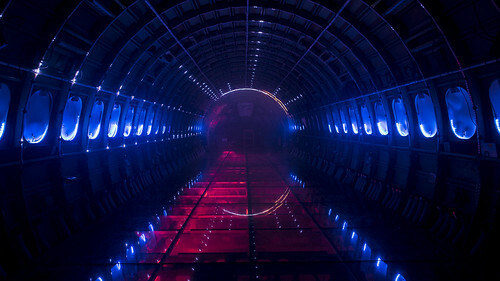 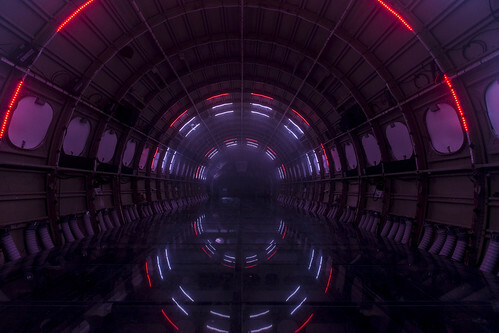 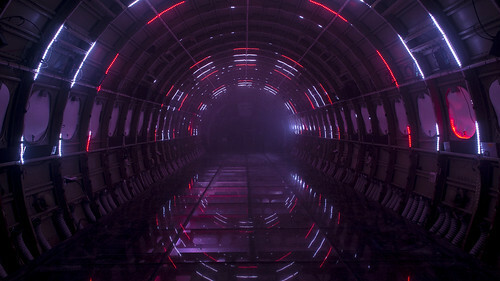 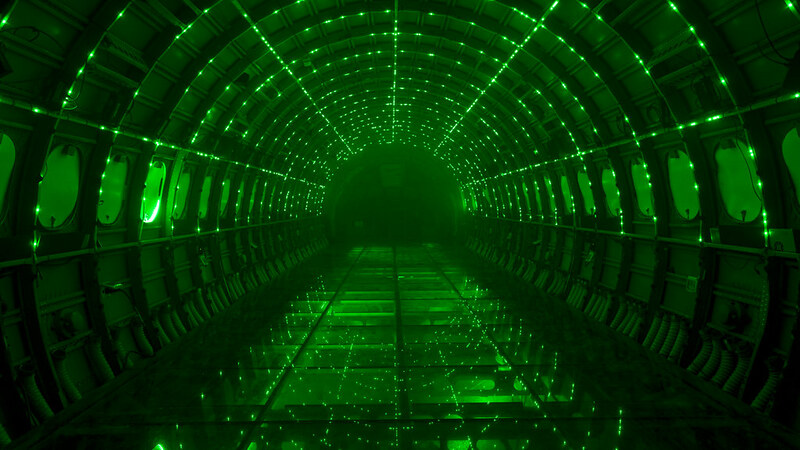 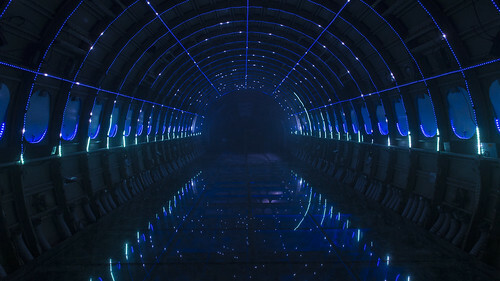 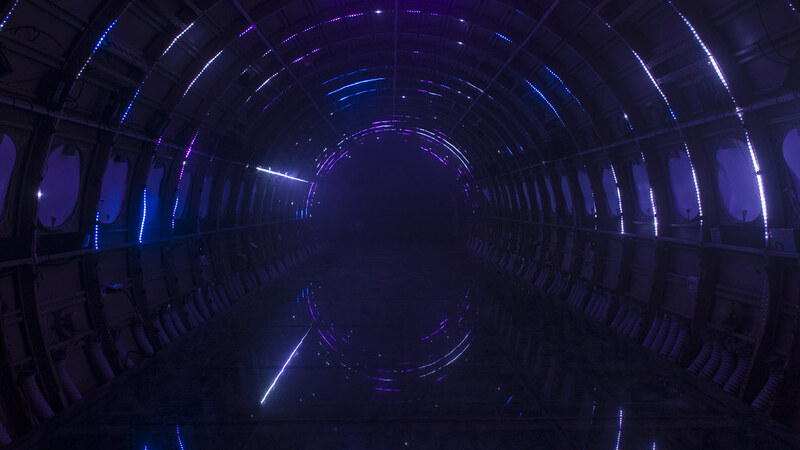 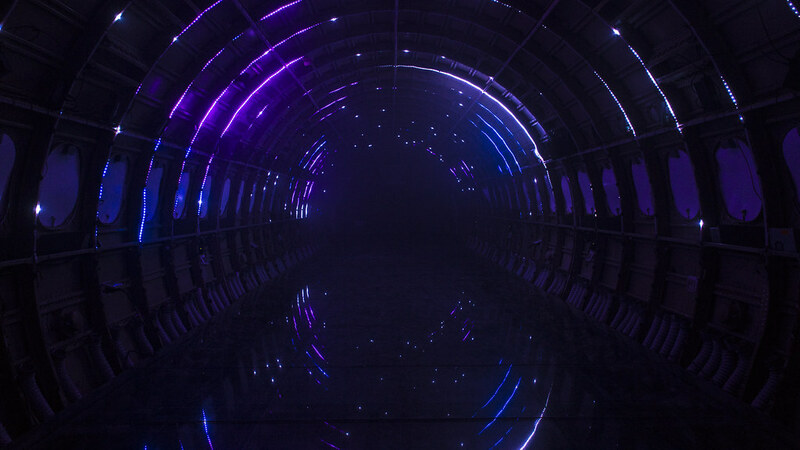 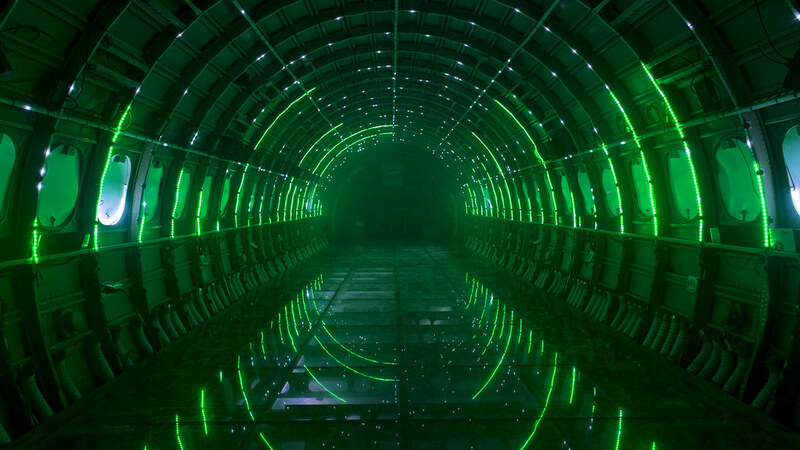 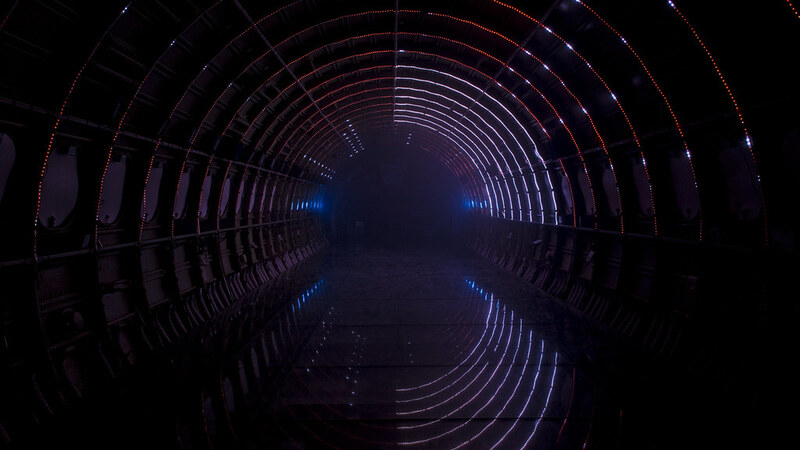 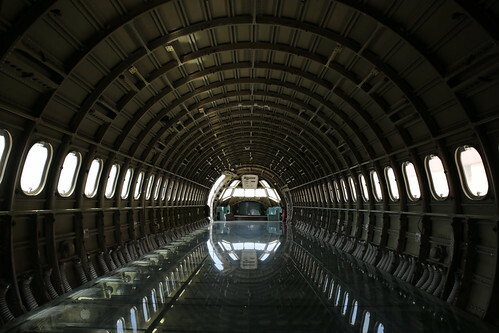 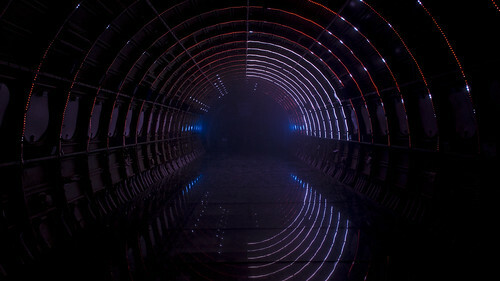 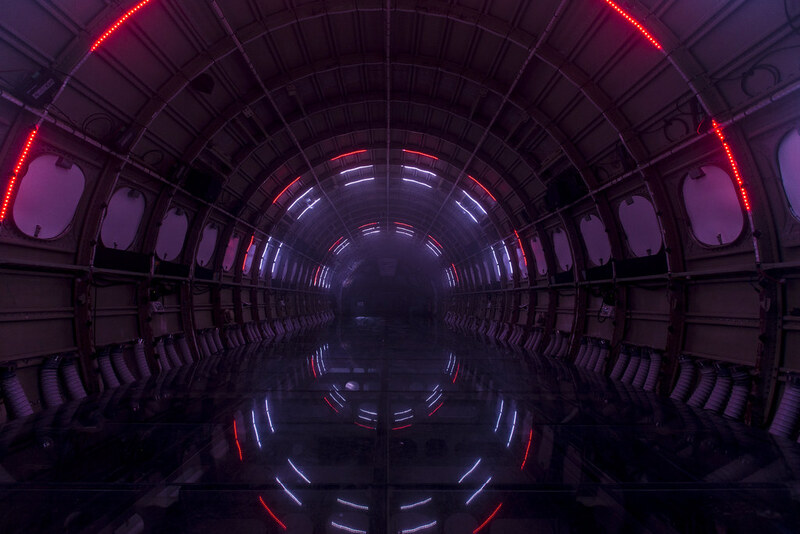 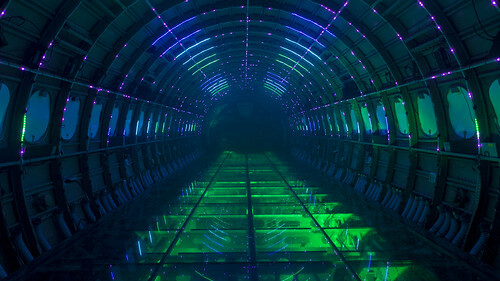 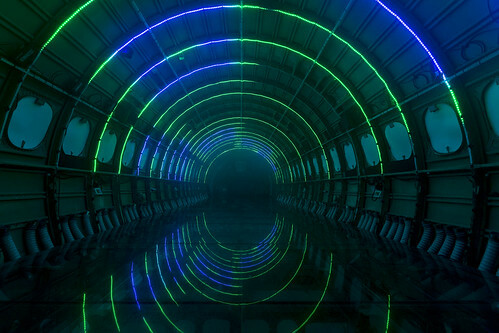 Porta Estel·lar (the catalan for Star Gate) is an immersive light and sound installation inside a plane. 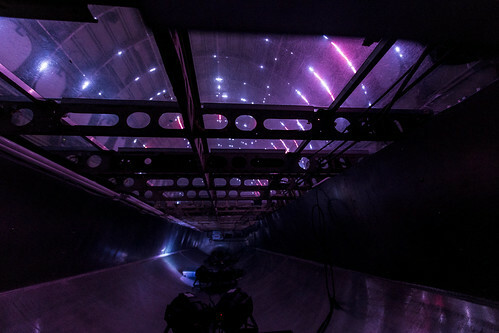 We invite the audience to embark on a cosmic journey, perceptively intense and captivating. 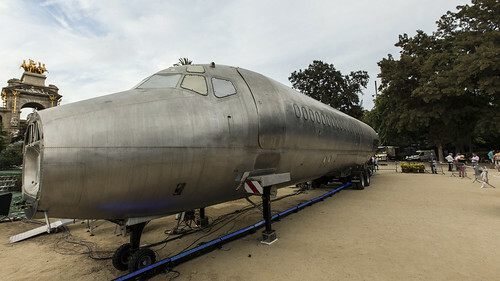 The plane itself is an art project from Eduardo Cajal, http://www.trashumante.org/, who bought, transformed and adapted the plane to hold this kind of art performances inside it. Porta Estel·lar, then, is a collaborative project between PlayMID, authors of the light&sound show, and Eduardo Cajal, owner of the plane. 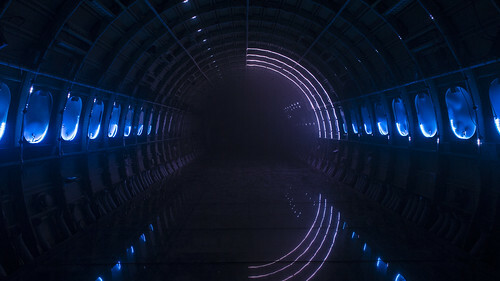 Thinking how to create an immersive piece about space travels, communicating complex ideas through an abstract language.